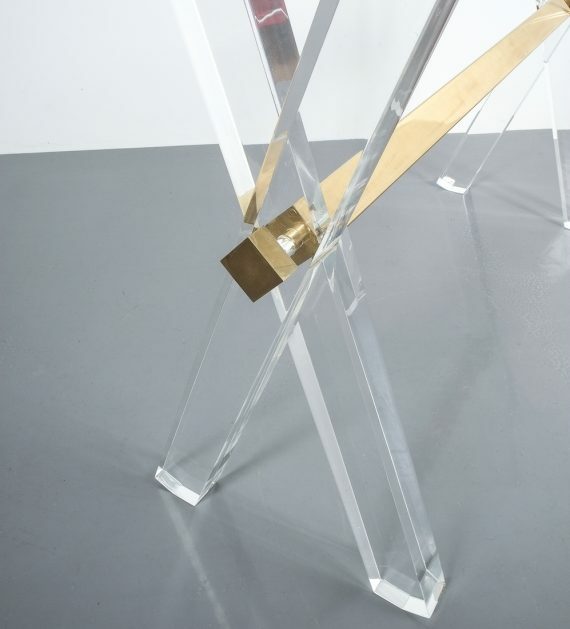 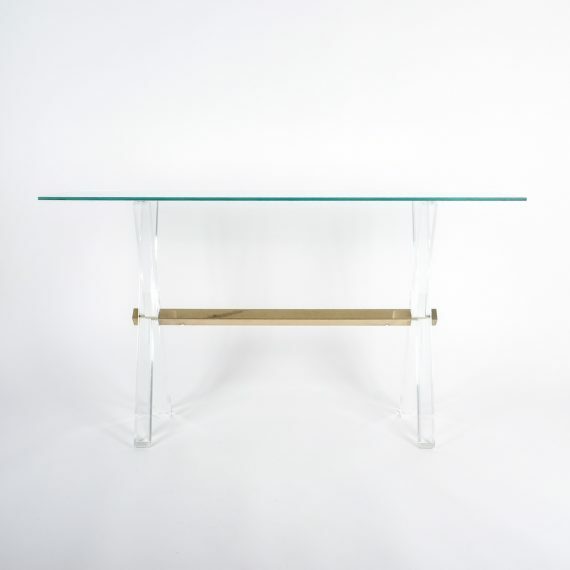 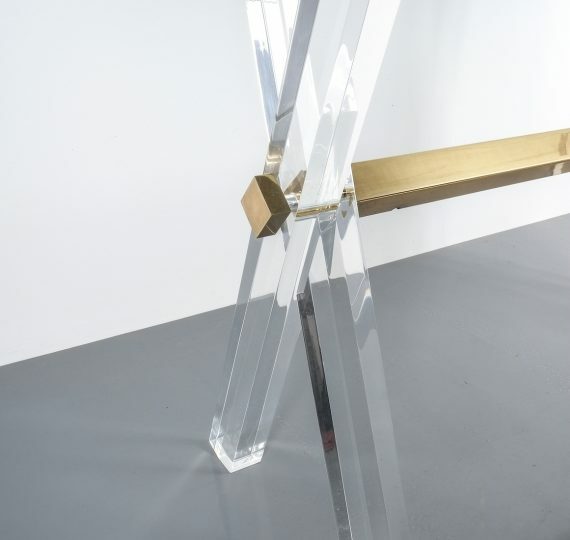 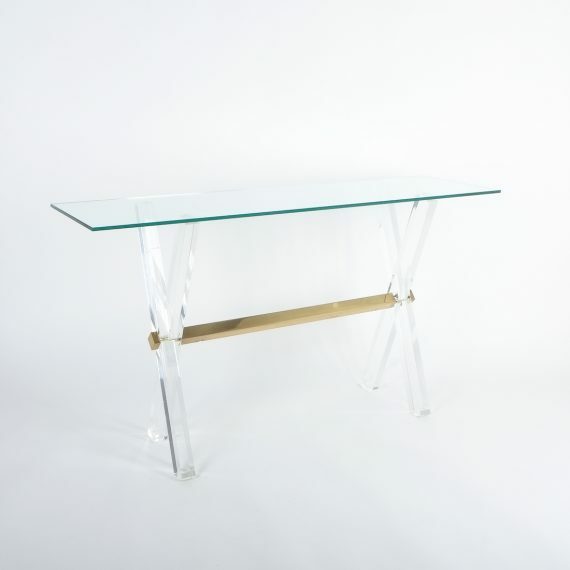 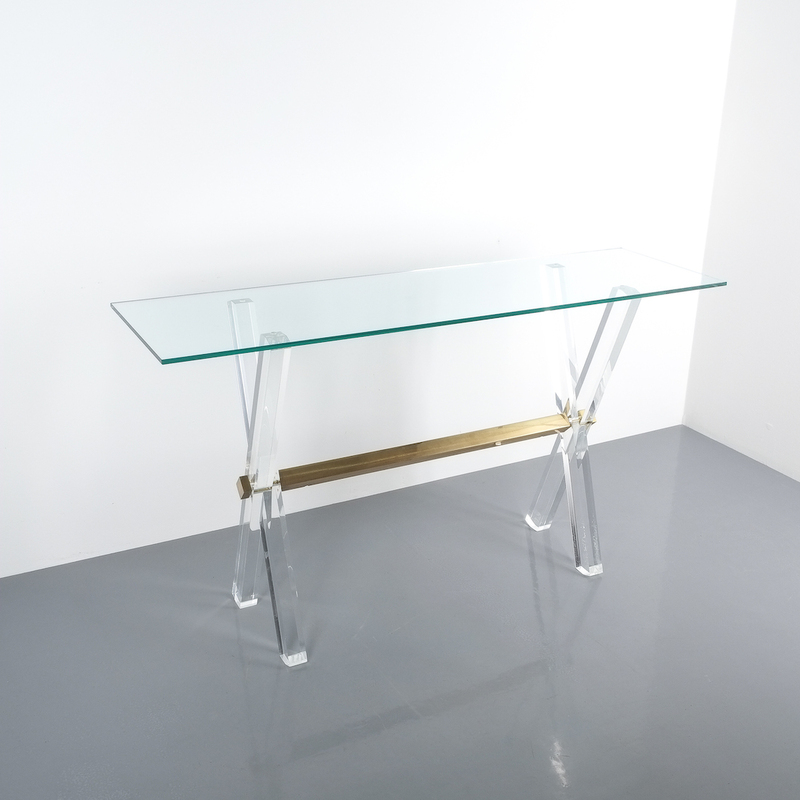 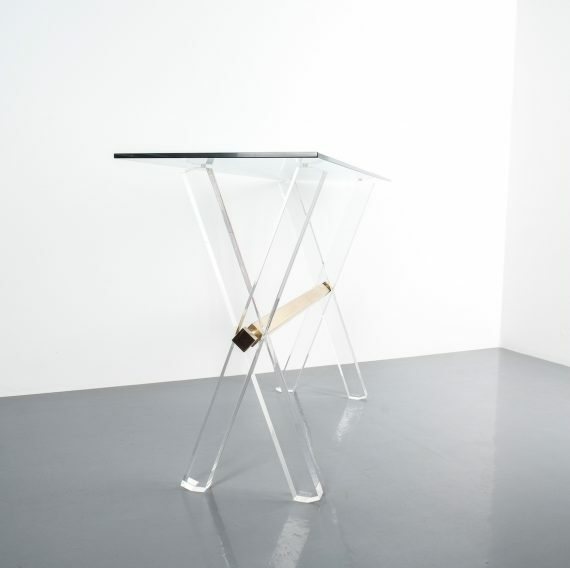 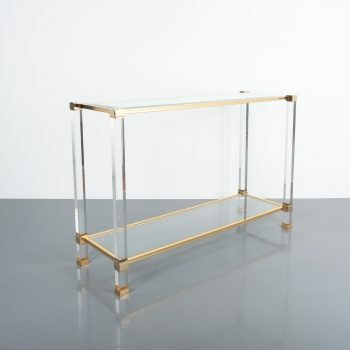 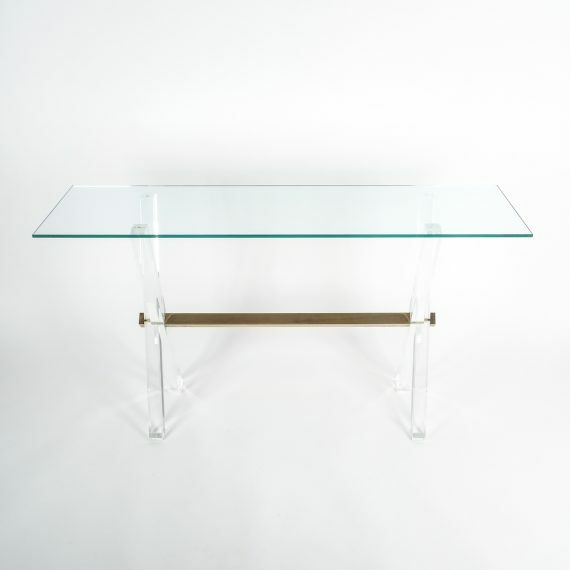 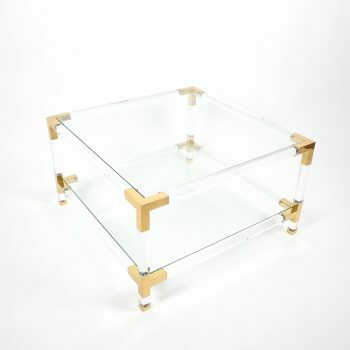 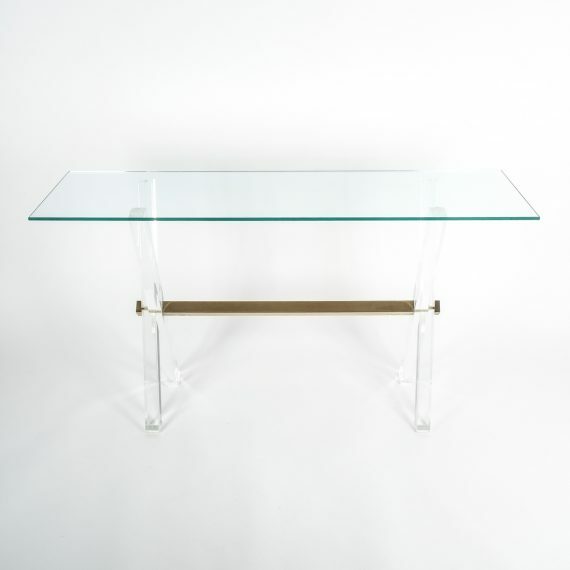 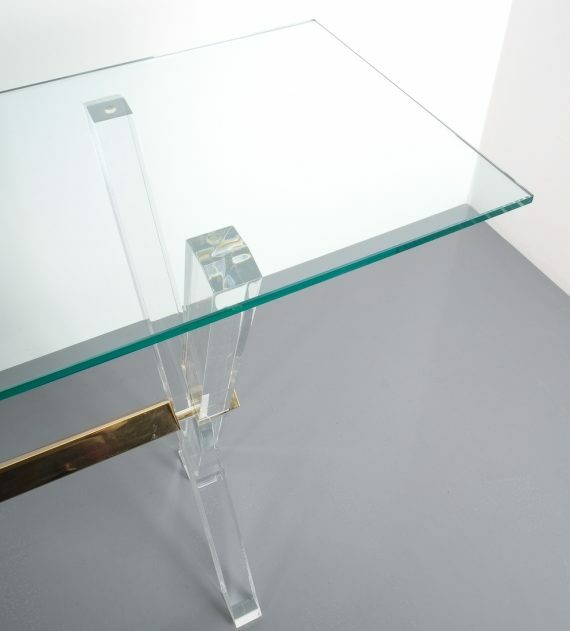 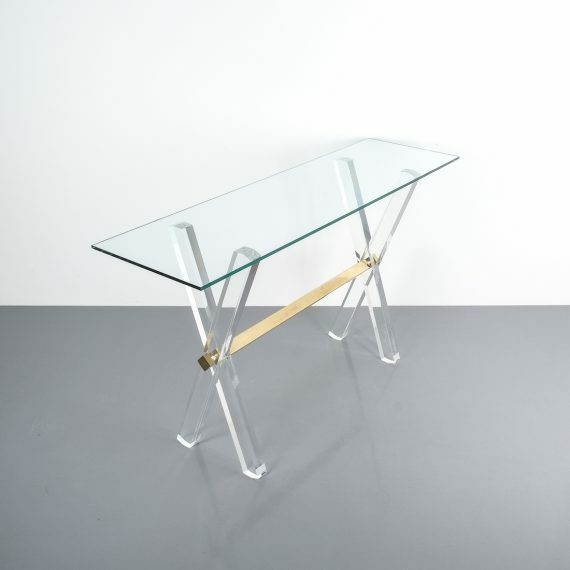 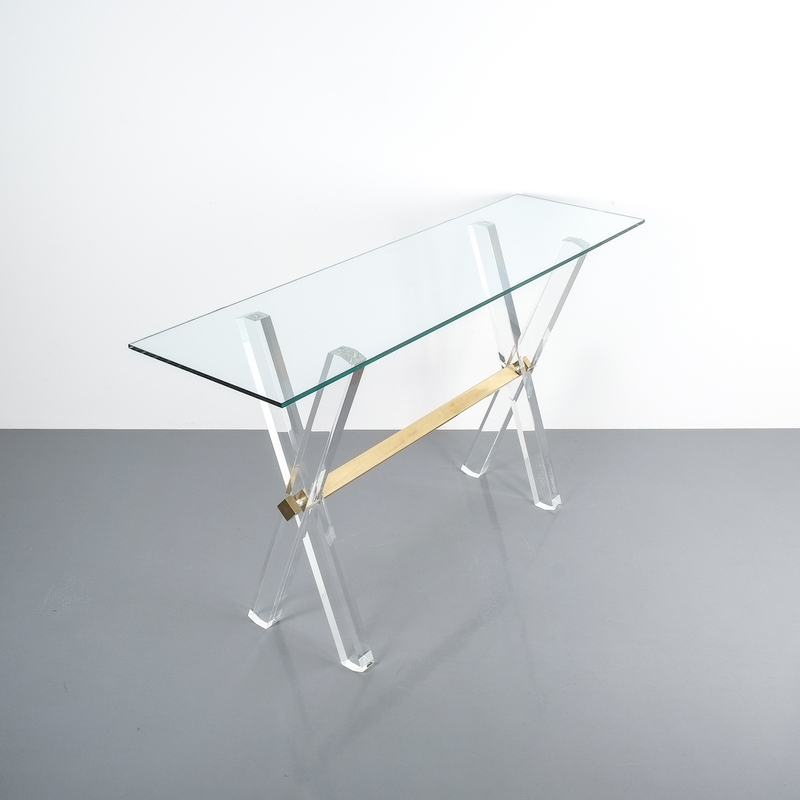 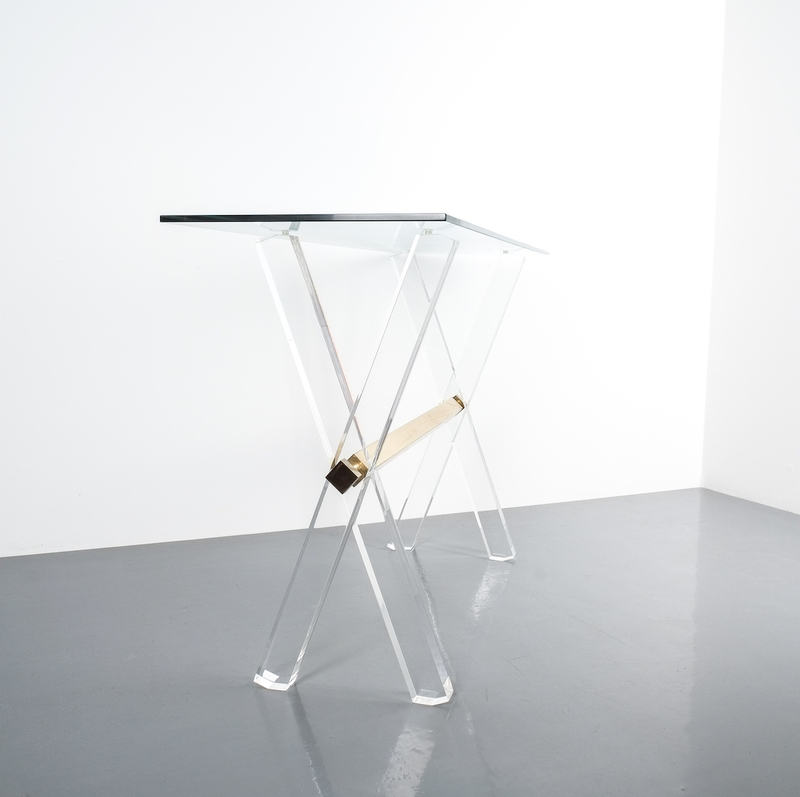 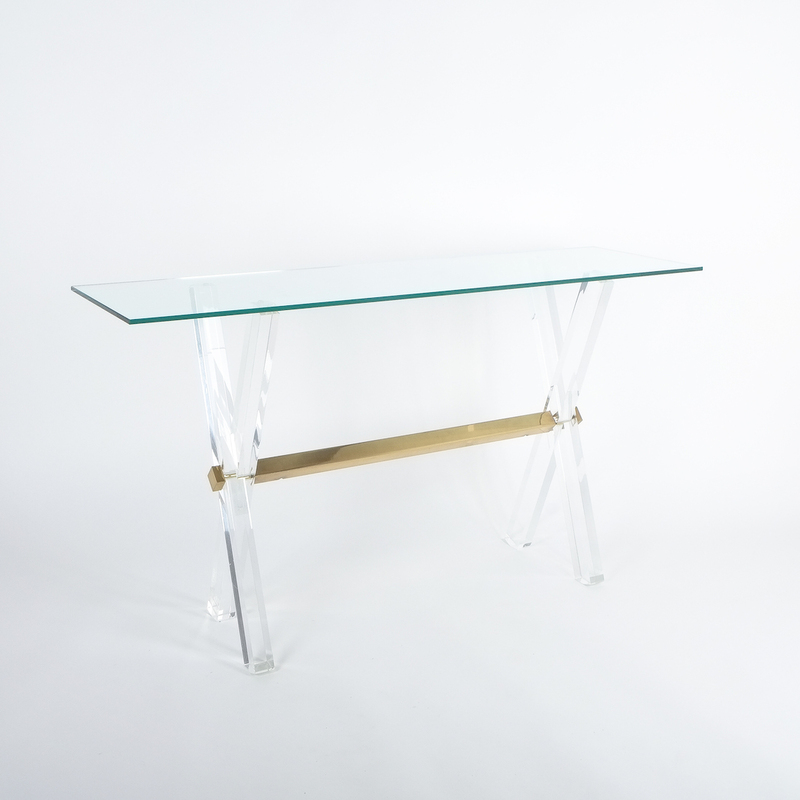 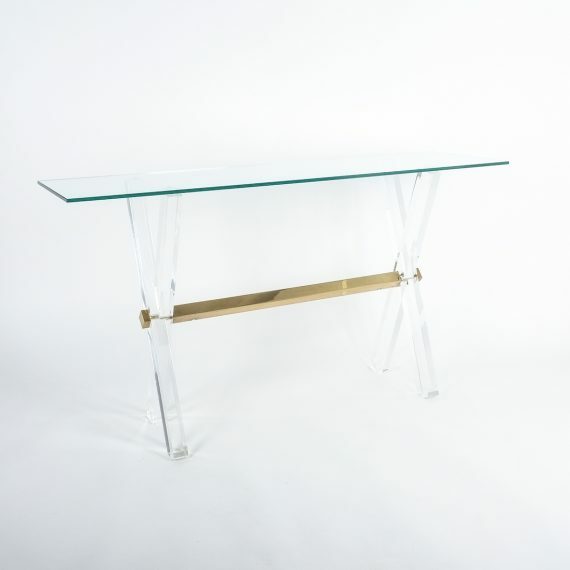 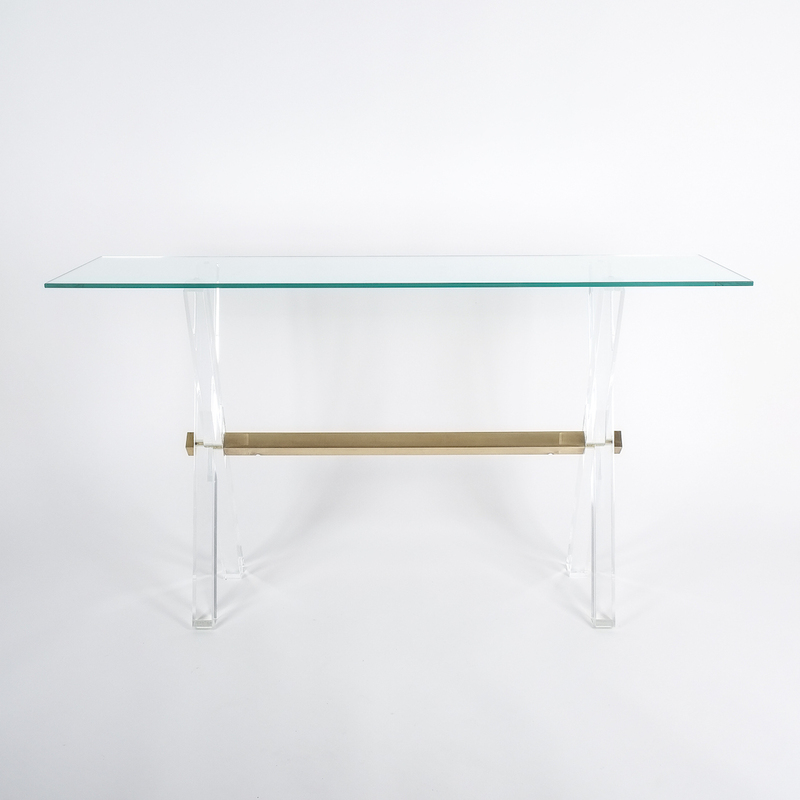 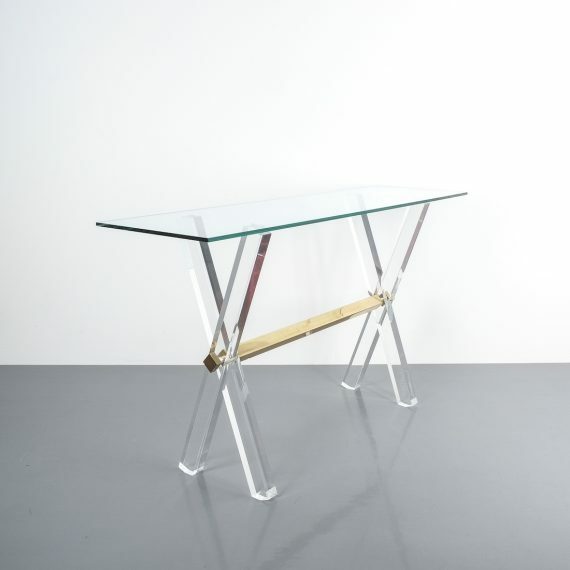 Lucite and Brass X Frame Console Table, Circa 1970.Elegant console table consisting of a lucite X frame with a horizontal polished brass beam. 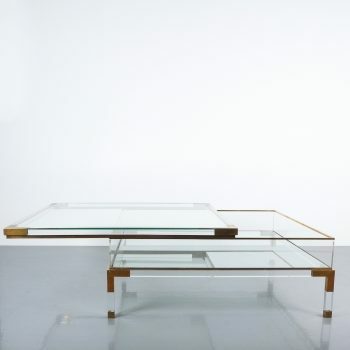 The glass top shows normal signs of wear with no chips present. 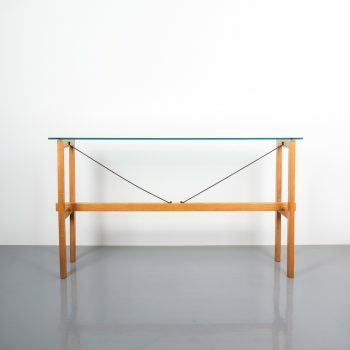 The table is in good to excellent condition.